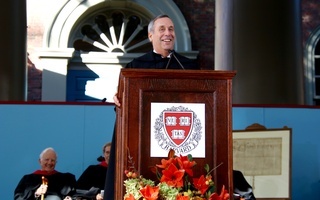 University President Lawrence S. Bacow acknowledged in his first full-length sit-down with The Crimson last week that the brand-new, Republican-backed tax on Harvard's $39.2 billion endowment will deal a blow to the University — but said he will protect the school's financial aid programs at almost any cost. The University will pay taxes for the first time on its fiscal year 2019 returns, meaning it won’t actually shell out money to the federal government until the fall of 2019. The funds to pay the tax — which is calculated based on the school’s endowment annual returns, rather than the total endowment sum — will have to come out of the University’s annual operating budget. Last week the University announced that its endowment returned 10 percent, faring better than it has over the past two years. The unprecedented endowment tax — the product of last year’s Republican tax overhaul — would have cost the University $43 million in 2017, according to Harvard’s estimates. Bacow said that amounts to about $2,000 per every student who attends Harvard, or roughly 25 percent of the school’s total undergraduate financial aid budget. As the value of the endowment increases, Harvard will likely pay even more; based on its 2018 returns, Harvard would have owed the federal government more than $50 million this year. Even as the first fiscal year of taxation begins, Harvard hasn’t given up the fight to eliminate the new levy. 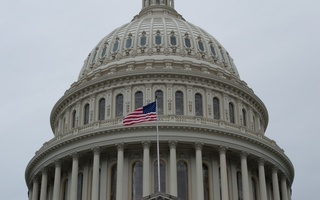 On Bacow’s first trip to Washington, D.C. as Harvard’s top leader, he told legislators on both sides of the aisle that the tax will fail to accomplish their goals. 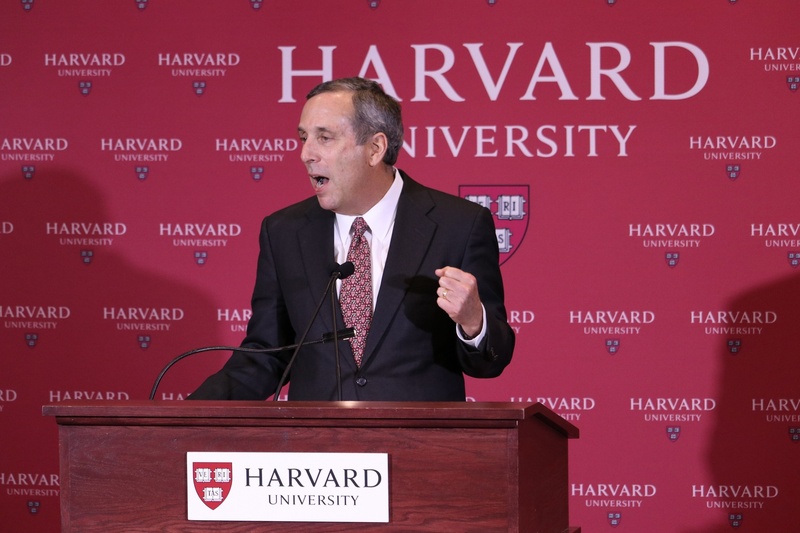 “I talked to them about the federal endowment tax, why I thought that was poor public policy, the specific impact it had on Harvard, why I thought it not only would not achieve its intended goals — which are to ‘reduce the cost of admission,’ we'll call it the cost of attending college — but why it would have the exactly opposite effect,” Bacow said. 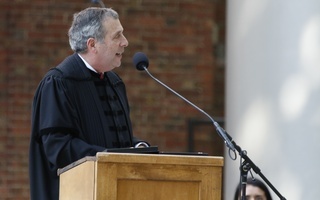 Not only would the tax potentially increase the cost of higher education, Bacow said, it would make it harder to fundraise for scholarships, too. He explained that it is harder raise money for financial aid when endowed scholarships are going to be taxed. 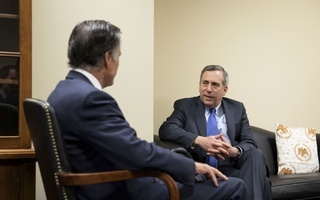 Bacow emphasized that the tax is a broad political issue — not one unique to Republicans. He pointed to the additional endowment tax Massachusetts Democratic candidate for governor Jay Gonzalez proposed last month. 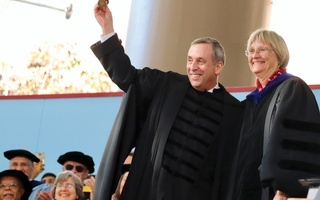 Bacow’s desire to advocate for higher education is one that his predecessor, former University President Drew G. Faust, shared. Since taking office, Bacow has traveled to his home state of Michigan to speak to high school students there. Faust similarly visited cities and schools across the Midwest throughout her tenure. For now, though, Bacow said the endowment tax will necessitate “belt-tightening” in certain areas — even after the University wrapped up its capital campaign by raising a record-smashing $9.6 billion.